Staring contests. They're the ultimate battle of concentration and willpower. 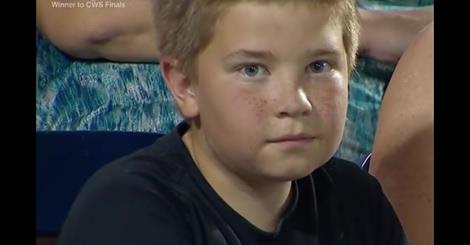 At the College Baseball World Series this past Sunday, a young fan engaged in an epic staring contest with one of the television cameras. For a few minutes, he was more interesting than anything happening on the field. Be sure to SHARE this moment with your friends and family.